The Suzuki Holeshot Assist Control (S-HAC) is a selectable launch system derived from the factory race bike to help riders’ take off from the starting gate for an early lead. There are three modes, riders can choose for the best option per their skill level and starting conditions. There are three stages to A – Mode and B – Mode of the S-HAC system. This helps riders at the moment of launch, when crossing the gate, and through acceleration to the full-speed. 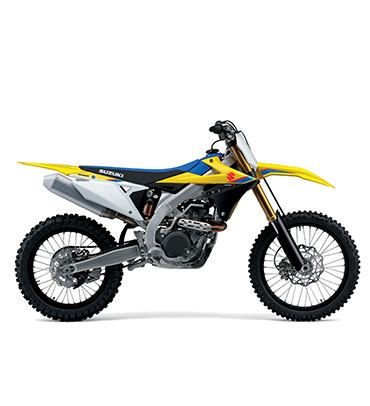 The S-HAC settings for A – Mode on the 2018 RM-Z450 are updated to aid the rider’s throttle control during launches. A – Mode: For hard surfaces or slippery conditions at the starting gate. In this mode, S-HAC alters ignition timing at the moment of launch and the ride over the gate to reduce wheel slip to deliver a smooth take off. It also advances ignition timing during this sequence for stronger acceleration. After 1.2 seconds or when you reach third gear, the system shuts off and returns to normal ignition timing. – Benefit of A – Mode: For novice riders, and/or hard and slippery traction conditions, use A – Mode for a more controlled launch. B – Mode: When conditions at the starting gate have better traction, and a more aggressive launch is desired. S-HAC will advance the ignition timing to allow increased throttle response and stronger acceleration off the line. The ignition timing alternation is in a similar sequence as A – Mode, but with increased overall timing. One of three conditions will return the ignition to normal operation (whichever happens first): After 4.5 seconds has passed since throttle opening, or when you shift into 4th gear, or when the throttle is closed. – Benefit of B – Mode: For skilled riders, and/or good starting conditions, use B – Mode for a more aggressive launch. Base Mode: Standard power launch, no action required for the S-HAC switch. 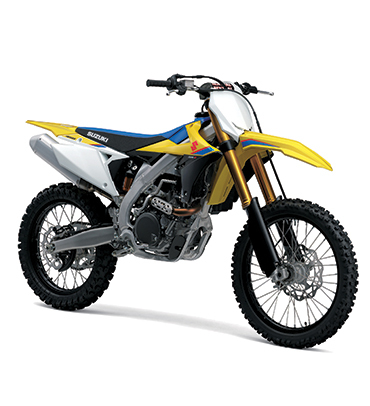 Designed for motocross-use, the lightweight, battery-less, electronic fuel injection system is key to the engine delivering efficient power. For quick fuel adjustments to suit riding conditions, two couplers are provided. One is for rich and another for lean fuel setting compared to stock settings. Riders can change fuel settings in seconds by simply connecting either coupler to the wire harness.